Setlist from the Independent show in San Francisco? hey, new here. what song is this at 2:59 from this clip? 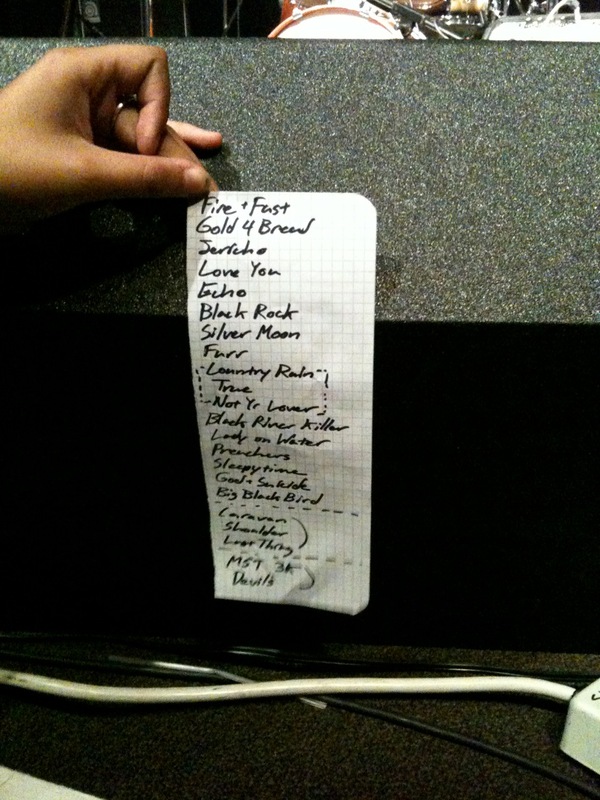 Here's the setlist, but obviously there was more played than what's listed here. Welcome to the board! That song is Black Rock, off the new Black River Killer EP. This is the first time they've ever played it on tour. I was at the show too -- such a great crowd, and the dudes were definitely having fun up there. Hey, that's my video! I hope you liked it! Too bad the Independent staff asked me to stop recording. I would have liked to have small 30-sec snippets from all the songs.